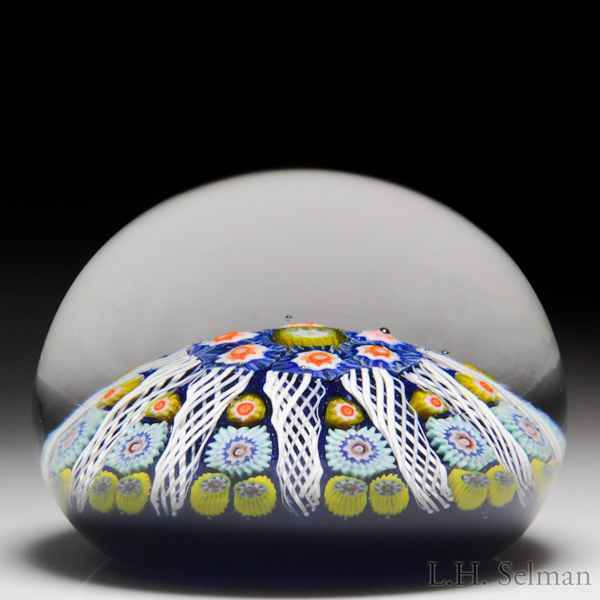 Strathearn patterned millefiori paperweight. Ten radial spokes of white latticinio divide triangular panels of five cog canes each and radiate from a central yellow cog encircled by blue, orange and white complex canes. Translucent cobalt blue ground. Diameter 3 1/16".